In Korea I knew John Barazzuol under his Korean Zen monk’s name, Dogong Sunim. At that time he was teaching Buddhist meditation at Lotus Lantern, a center that had been set up primarily for interested foreigners. I studied under him for four and a half years before he returned to Canada. In 2009 after a writers’ conference north of Seattle, a friend and I went up to Vancouver to see him. This interview took place on that trip. My friend Kelly said he was the kindest man she had ever met. There was a time when I had inside me an emptiness or a pain which I knew no relationship, no amount of money, no possessions, was going to fill or overcome. I got a job on a freighter and worked my passage from Canada to Japan, where I taught English for two years. In Tokyo I got interested in the sadhus, the holy men or wandering monks in the Hindu tradition. I decided to go to India and live as they lived. I gathered all my friends together, threw a big dinner and a big party and gave everything away except my ticket back to Vancouver, which I had exchanged for a ticket to New Delhi. On my way to India, I passed through Kuala Lumpur, and I thought, “I have to go to the Buddhist temple.” I never made it to India. I ordained as a Buddhist monk. But before the ordination a grandfatherly monk took me aside and said, “Okay, son, now it’s time to decide if you want to be a monk all your life.” My first thought was that I didn’t even know what I was going to be doing in five years. I decided I had to do it, but not for life. So that was the beginning. My idea had been to travel around with no money, but after I ordained I got three square meals a day and clean sheets. Instead of getting out of the world I was fed up with, I found that actually I was getting into a whole different social system. I was shocked to find myself an object of public worship, with people bowing down to me. I thought it was a big mistake, they had the wrong person, but I couldn’t say that. About four or five years later, I noticed that my ego had picked up on it and was telling me I must be a pretty good person because everyone was bowing to me all the time. 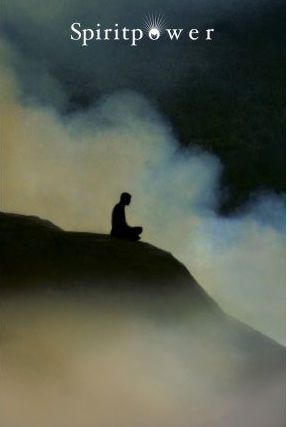 One day a Sri Lankan monk said, “First I’m a human being, second I’m a monk.” I’d thought a monk was something really special, but then told myself I was just a human being. I was working through a lot of things. My teacher was the Chief High Priest of Malaysia. He told me, “There are two kinds of monks, a social monk who works in society and a meditation monk. You can do your meditation seriously when you’re old and tired. You’re young now. You’ve got to help people.” So I started studying Buddhism, and he gave me a class. I would study a chapter and teach a chapter. That’s how I learned. The Theravadan tradition is the oldest surviving form of Buddhism, formed in India and quite conservative. I had a particular role which included giving blessings. As an intellectual who was interested in the teachings, I had a hard time relating to the devotional people who only wanted to be blessed. I remember one time a prostitute came to the temple. She said, “Please pray to the Buddha that I get more customers. My mother’s sick, and I want to look after her.” I was disgusted that she didn’t want any teaching. I did some chanting and she went away happy. To this day I think there’s a time when you have to help yourself, and there’s a time when you have to help others. In the I Ch’ing there’s a hexagram of the well, which is a symbol for nourishment. If your well is going to nourish people, it has to be in good working order. I was fixing my well. After studying Buddhism for about two years and teaching classes and studying, I was sitting in the library wondering how much more studying I would have to do. Over the week, I got a clear and solid answer that I didn’t have to learn anymore for me. If I practiced everything I’d learned, I had enough material for the rest of my life. But if I wanted to help other people, then I had to study more in order to pass those these ideas on to them. That would be my service. One of my jobs on Sunday morning was to lead the kids in chanting. One Sunday I was sick in bed, and another monk had taken my job. I heard the Pali chanting across the courtyard and remembered being an altar boy as a Roman Catholic. Then it was Latin, now it was Pali. I thought, I don’t need to do this anymore. What am I doing? But the next week I was back in the shrine because I realized that just because I was finished with it didn’t mean other people were. It’s like my leg was healed, but I didn’t need to break the crutch. Give it to someone else. Chanting has a devotional element to it, whether it’s Buddhist or Christian, almost like you are praying, in the sense of appealing to the Buddha or the Virgin Mary as a protector and helper. There’s nothing wrong with that. But when I say I don’t need something anymore, it’s like I’m strong enough in myself. When I ordained, some people seemed to think I was running away from the world, but it was really clear to me that I wasn’t. The first thing that came out to me was: if you throw a fish in the water, the fish doesn’t ask you why. I felt I belonged, and that was good, but that wasn’t really enough. I still had to work on me. There was something that wasn’t right, and the monastic environment and the monastic role would help me. That’s why I told the social workers, “I can’t make other people happy if I’m not happy.” I really meant that. I can’t go into a prison and tell people I had news for them. It has to do with karma. Whatever lessons we’ve got to learn, there are people who just go inside. They are withdrawing spirits who take their energy away from life and go back to the source. Others pull their energy down to the world and create things. I thought I was one of the retreating people, but I wasn’t. Any time I tried to go on retreat by myself, I could last only one month alone. I had to go into town and talk to somebody. I needed to be with people. That’s where my work was. When I went into the Korean tradition the monk who took me in was Sungsan Sunim, who was traveling all over the world. I didn’t realize it then, but he was modeling how to live in the world with this kind of spirit. One day after a three-month retreat, I was bowing to show my respect, and he said, “This retreat was only for ninety days, why don’t you do one for ten years?” That was when I knew I could take my meditation anywhere. I remember being on a subway in Seoul or being in the Hilton Hotel and yet telling myself I was on retreat. The real challenge was to live a spiritual life without the monastic props. Being a monk out in the world means being aware of your spiritual values and your spiritual life as you live your daily life, meditating while walking down a busy street with noisy traffic going by. 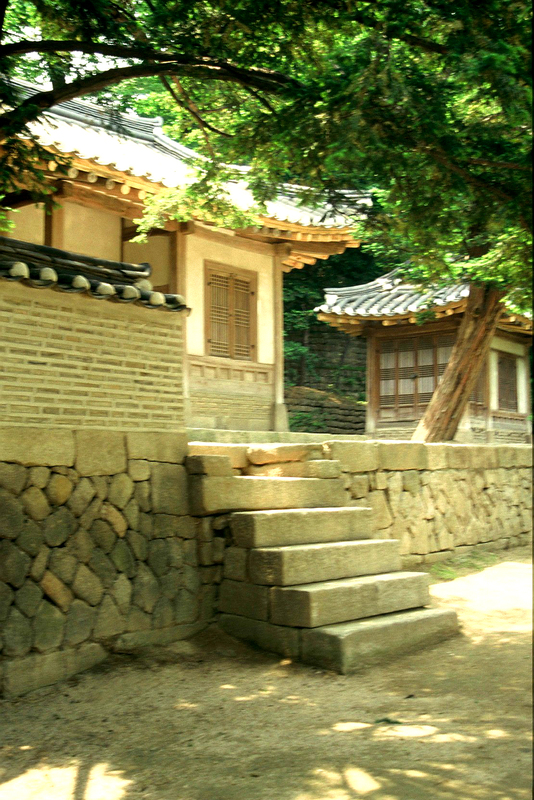 When I ordained in Korea, I lived in Hwagye Temple outside Seoul. Others from Europe and America came to Hwagyesa to ordain, and I discovered that the role of the monk in the Korean tradition was much broader and less rigid than in the Theravadan tradition. You get up early in the morning and bow 108 times and do some chanting, and then you’re free. What are you going to do then? They wanted me to teach English in order to attract people to the temple. But I felt I hadn’t become a monk to teach English. I found a role for myself at Lotus Lantern teaching Buddhism, which I was happier doing. To me being a monk was a real privilege. You didn’t have to worry about making money to pay the bills, cooking your food, storing your food—it was all taken care of. I heard of a Scottish monk who had been an accountant. He got fed up with it, so he joined a monastery, but then he was stuck doing the monastery finances. You live in a special environment, but you can’t count on the whole world to support you all the time. In Korea you could do what you wanted. I had trouble with my back. There was a little basket with straps used by working people when they carried stuff. Well, one fall the leaves were all over the temple yard, so I started gathering the leaves and putting them in the basket on my back. Monks kept coming and telling me I didn’t have to do that kind of work. The guy who was supposed to do it thought I was a god who had down from heaven to help him. One winter it snowed so heavily that tree branches cracked all over the mountain. The monastery cooked with wood. People were hired to gather it, but for my back I would saw off the tree branches and carry them up to the temple in the basket. It really healed my back. My body would love being in a certain position on the slope and cutting trees. I might have had severe back trouble otherwise. A thirty-day meditation retreat had a daily work routine. Food was provided by the people who did the cooking and cleaning, but monks did work like sweeping the floor, taking out the garbage, burying the garbage, doing household work, sweeping the courtyard and wiping the floor of the meditation hall with a wet cloth. In the nun’s temple, the nuns did their own cooking, and they were incredible cooks! It’s not so in the Theravadan tradition, where monks meditate and let other people do all the support work. Once my teacher in Kuala Lumpur went to Paris and stayed with Venerable Rahula, the author of What the Buddha Taught, who was teaching at the Sorbonne. Ven. Rahula cooked dinner, and afterwards he was slowly and mindfully drying the silver. My teacher asked what he was doing. “You’re a scholar. Why don’t you work on your dictionary or another book? Let somebody else do that.” That’s not the Zen attitude. Monks till the field, they grow the vegetables, they do whatever they’re supposed to do. So I went up on a mountain ridge that went down into a valley where there was only one farmhouse. In Korea, if you wanted to get rid of excess energy, you could yell yahoo. So I shouted for about three or four hours. All this garbage started coming out of me, all kinds of stuff. Then the frequency changed, and I started channeling a higher energy. That night I was so energized I couldn’t sleep. But I got the answer. “Hey, Mr. Monk, you’re a human being, and you’ve got all this crap inside of you, and that’s why you’re not enlightened.” That was good. Now, I was a good little Catholic boy. I got her settled in, and I decided to go back to Sudoksa to show that guy. When I was walking down I realized that whatever I did, it was damned if you did and damned if you didn’t. I really got an insight into it didn’t matter what other people thought. That was a good lesson.